Rebel forces in eastern Libya have agreed with the government to soon end its months-long blockade of oil export ports, according to a senior leader of the group. “The oil port issue will be solved within days,” Abb-Rabbo Al-Barassi, self-declared prime minister of the rebel fighters, told Reuters. Jathran’s group has seized three major oil exporting ports - Ras Lanuf, Es-Sider, and Zueitina - in the impoverished east of the country since August 2013. 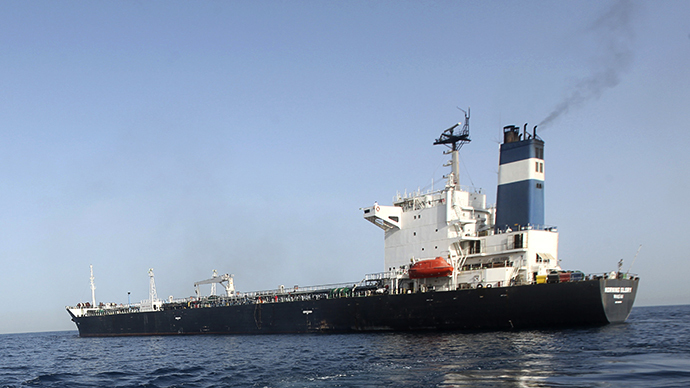 In early March, the rebels started exporting oil from the port of Es-Sider. 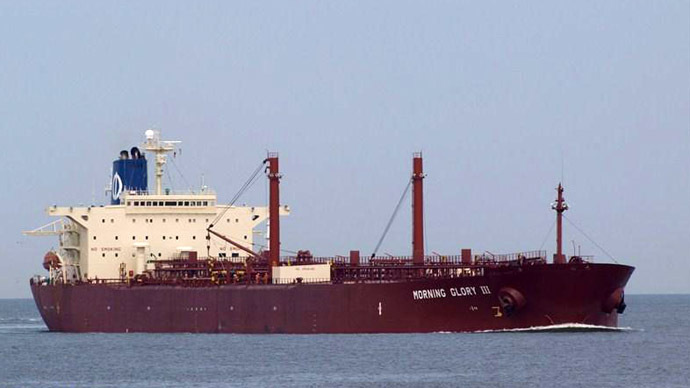 The first shipment was sent on a tanker known as Morning Glory, which was flying the North Korean flag. 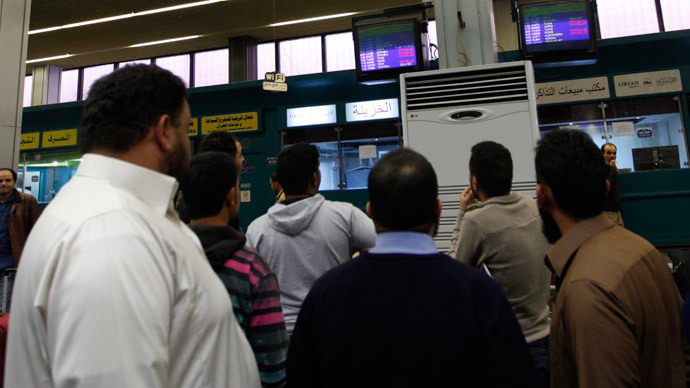 The move resulted in Libya's parliament sacking Prime Minister Ali Zeidan, who fled to Germany. Libya prepared military forces “set up to liberate the ports and end the blockage,”said parliamentary spokesman Omar Hmeidan, and to retrieve the US$38 million worth of oil seized in Morning Glory, which is thought to belong to Saudi owners. 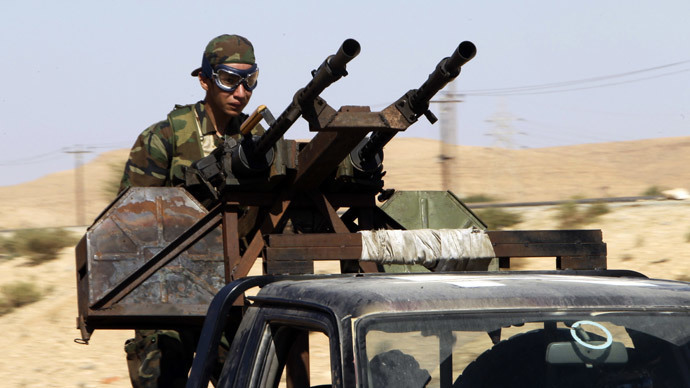 "We have sent land units to defend Cyrenaica to the west of Sirte...and we also have boats patrolling regional waters," Essam al-Jahani, a senior militia chief, told Reuters. Days later, US Navy Seals boarded and took control of Morning Glory. The operation, approved by US President Barack Obama, came at the behest of the Libyan and Cypriot governments. No injuries during the seizure were reported. The ship was eventually returned to Libyan authorities. The overall blockade of export routes has shrunk Libya’s exports from 1.4 million barrels per day a year ago, to just 230,000 barrels per day. The rebel port campaign was initially an attempt by rebels in eastern Libya to claim a larger share of wealth from the country’s rich oil reserves. As time passed, the blockade became a battle for independence, as separatist groups have called for a division of Libya into three regions, based on tribal boundaries. 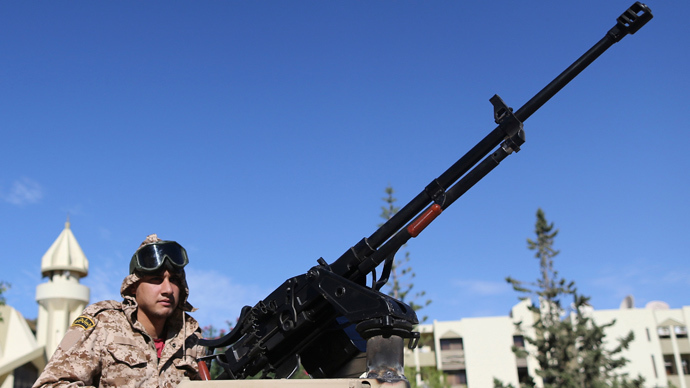 The Libyan government has little control over the whole of the country, as ex-rebel commanders, former exiles, Islamists, tribal leaders, and federalists all vie for positions in the vacuum. "Really there is no army, I thought there was one, but then I realized there really isn't any," former premier Zeidan said from Germany, according to Reuters. 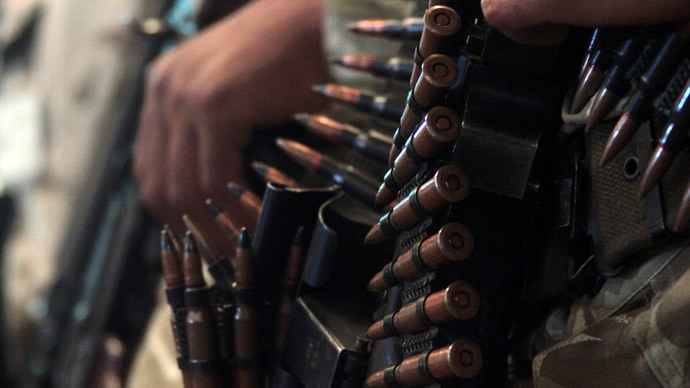 Various militias say they are simply providing local security until the government can strengthen. But control of oil is crucial to establishing authority over Libya, as it provides more than 90 percent of foreign income to the country, which has the biggest reserves in the whole of Africa. "There was a euphoria that accompanied the overthrow of the dictator that did not take into account some of the stark realities...What is the unifying idea here?" a Libya-based Western diplomat told Reuters. From Europe, ousted Zeidan has called Libya a potential base for stateless terror groups looking to exploit divisions, as in Afghanistan. "Libya could be a base for Al-Qaeda for any operation to Italy, to Britain, to France, to Spain, to Morocco, to everywhere. Weapons are everywhere, ammunition is everywhere," Zeidan told UK newspaper The Times while meeting with British politicians in London. "My plan is to struggle to reform the state, to stabilize the situation,” he said.